Alright, so now you’re excited and wondering what you should see first. Here are the Top 5 Canadian films we’re excited to see at TIFF 2017. 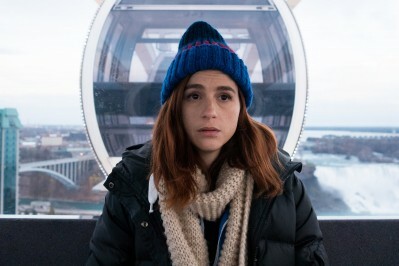 What it’s about: When a substance abuse counsellor (Aya Cash) gets arrested for a DUI and returns to her hometown of Niagara Falls, she learns that her estranged father is dying of cancer and wants her to form a bond with her teenaged half-sister that she’s never met. Why we’re excited: The debut feature film from Canadian Film Centre alumni Molly McGlynn is finally here! A participant in this year’s TIFF Studio, we loved Molly’s short 3-Way (Not Calling), which premiered at TIFF 2016. We also love Aya Cash in You’re The Worst, and are so excited to see her take on the title role of Mary. What it’s about: Mina Shum directs an all-star cast in her latest feature, about a devoted wife and mother (Cheng Pei Pei) who is forced to reassess her reverence for her husband after she finds another woman’s thong in his laundry. Why we’re excited: The film reunites Mina Shum and Sandra Oh 23 years after their acclaimed film Double Happiness. This moving family drama also features acclaimed actor and director Don McKellar, prolific Chinese action star Cheng Pei Pei and veteran actor Tzi Ma (Arrival, Rush Hour). What it’s about: The latest by Québecois auteur Simon Lavoie (Those Who Make Revolution Halfway Only Dig Their Own Graves) follows the lives of two children who, in the wake of their father’s death, gradually come to realize the perverse nature of their upbringing. Why we’re excited: Filmed in stunning black and white, this adaptation of the French-Canadian novel of the same name looks both exciting and downright creepy. Plus, Lavoie’s last film, Those Who Make Revolution Halfway Only Dig Their Own Graves, won the Best Canadian Feature Prize at TIFF 2016. 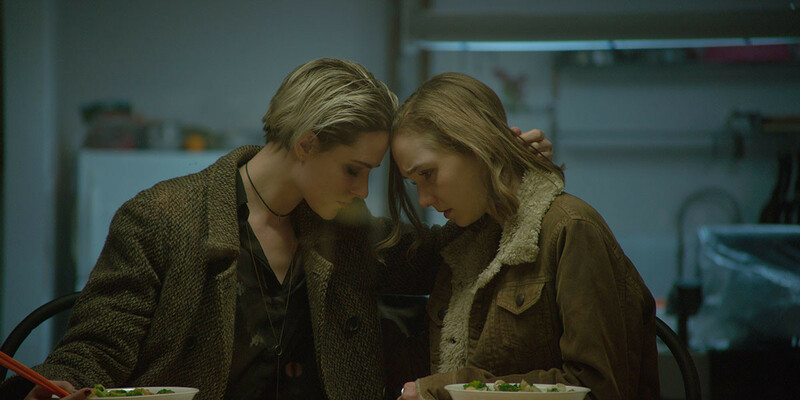 What it’s about: A 30-year-old woman (Evan Rachel Wood) embarks on an intimate yet ultimately manipulative relationship with a 16-year-old runaway (Julia Sarah Stone) in the highly anticipated feature debut from Montreal-based photographers Carlos and Jason Sanchez. Why we’re excited: We love Evan Rachel Wood and will watch anything she’s in. The film also features former TIFF Rising Star Julia Sarah Stone, who charmed us in Bruce MacDonald’s Weirdos, and the increible Maxim Roy (19-2, Shadowhunters). What it’s about: Jennifer Baichwal and Nicholas de Pencier capture the emotional and powerful 2016 final tour by Canadian rock icons The Tragically Hip. Why we’re excited: This doesn’t require much explanation. After frontman Gord Downie suddenly developed incurable brain cancer in early 2016, The Tragically Hip captured the love and attention of the entire nation throughout their incredible Man Machine Poem tour. Now, audiences can get an up close and personal look at the legendary tour, complete with behind the scenes access and interviews from the band. Which Canadian film are you most excited for this year?